Your audience, your customers, your stakeholders-you know, the people you are trying to reach. 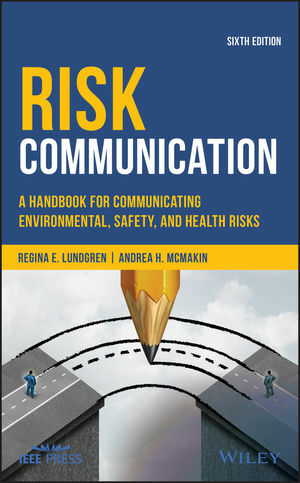 Whatever you call them, you need to know all you can about them to effectively communicate environmental, safety, and health risks. The best way to understand your audience is to talk to them. But sometimes, timing, distance, or logistics make having a chat problematic. Luckily, the internet and digital technologies are making it easier than ever to learn all about your audience. Here are five sources of information you might be overlooking. If you've set up your website effectively, you should be attracting members of your audience. You should also be able to tell a number of things about who visits it, including age, gender, time of day, how they found you, what they were looking for, and how long they stayed. This type of information can help you focus not only your website content but your other types of communications as well. Individuals, groups, and organizations have a presence on Facebook, Twitter, Google Plus, Pinterest, and about any other social media site you can name. For groups and organizations in particular, you should be able to at least view their pages to see what they post, including what appeals to them and what concerns them. Who else shares your audience? What are they posting on their website and social media accounts? In this case, make doubly sure you validate your impressions with other sources. It's possible your competitors and colleagues know even less about your audience than you do! Many human subject scientific studies start with a strong analysis of the participants, including age, gender, and lifestyle factors. A number of reputable scientific journals are now available for review online. Google in particular is good about offering suggestions in its search results from the scientific literature on topics of interest to environmental, health, and risk communicators. If your audience resides in a specific area, Craigslist may have a site dedicated to them. The forums and Community section may give you some ideas on concerns and interests. Again, validate your information from other sources, as there is little vetting on the List. Need more information on understanding your audience? Identifying key needs of the organization. Tailoring pre-built modular approach to meet your needs. Developing hands-on exercises that build capacity. Teaching at times and locations convenient to you. Providing award-winning book to back up training materials. I'm always glad to help, in any form of risk communication.